The Trump administration is floating the idea of hiring a "border" or "immigration" czar who would coordinate executive policies across several federal agencies, according to TPM, citing three anonymous sources familiar with the discussions. 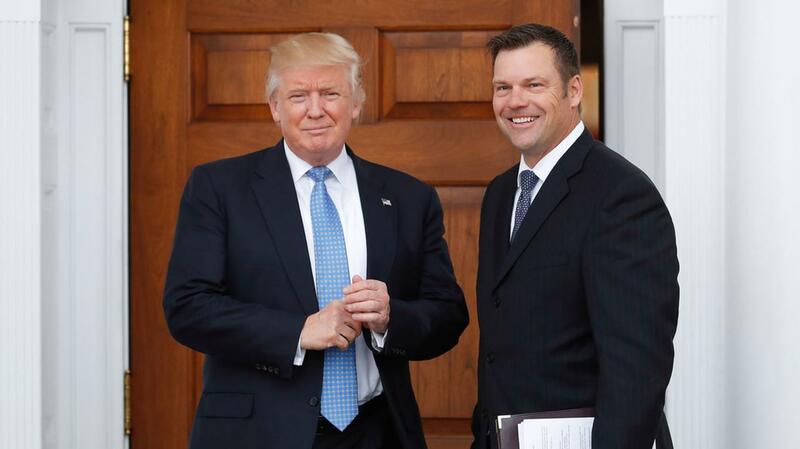 Two candidates are reportedly under consideration; Former Kansas Secretary of State Kris Kobach and former Virginia Attorney General Ken Cuccinelli - both of whom have strong conservative views on immigration. Trump, meanwhile, halted foreign aid to the Central American 'caravan' countries of Guatemala, Honduras and El Salvador - and threatened last week to close the US border with Mexico. On Friday Trump accused the countries of 'setting up' migrant caravans, per CNN. "We were paying them tremendous amounts of money. And we're not paying them anymore. Because they haven't done a thing for us. They set up these caravans," Trump reportedly said. "At the Secretary's instruction, we are carrying out the President's direction and ending FY 2017 and FY 2018 foreign assistance programs for the Northern Triangle," said a State Department spokesperson. "We will be engaging Congress as part of this process." Meanwhile, the Customs and Border Protection agency has its hands full with record numbers of migrants crossing the border illegally between ports of entry.